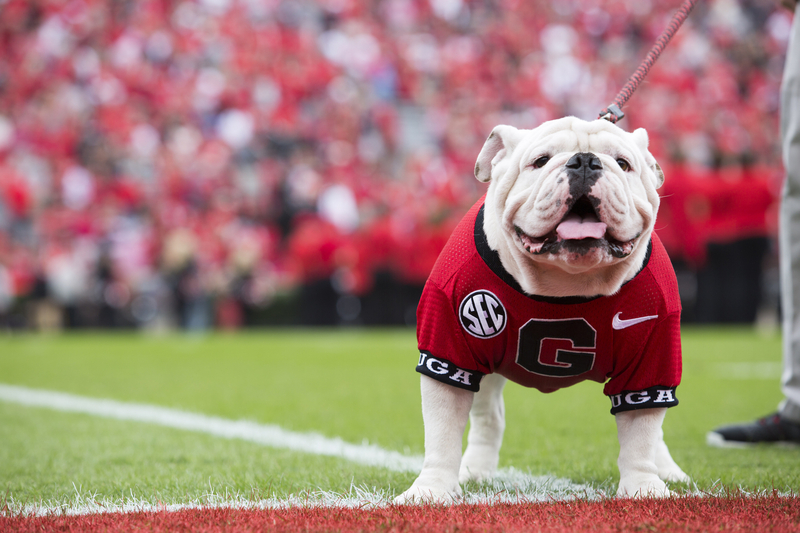 The University of Georgia College of Engineering will host a special celebration for alumni, friends and prospective students and their families on April 20, 2019 as the Bulldog Nation gathers on campus for the annual G-Day spring football game. There is no cost to attend E-Day on G-Day but please RSVP here. Check-in and start the day with coffee, juice and light refreshments. Join us for a fast-paced overview of the University of Georgia College of Engineering. Learn about the college, our research, co-op and internship opportunities, student organizations and more. Step outside the Science Learning Center and enjoy a traditional E-Day on G-Day tailgate featuring hamburgers and hotdogs as well as vegetarian options. Head to Sanford Stadium to cheer on the Dawgs! Get a preview of this fall’s UGA squad while you enjoy a free visit to one of college football’s premier stadiums. Transportation on your own. The stadium is within walking distance and you can enjoy pre-game festivities at the Tate Center. Kickoff is set for 4 p.m. and admission is free. Please be advised the SEC clear bag policy will be in effect. Entrance to the G-Day Game will be free of charge. All gates will be open. All seating will be open and general admission except Section 141 and Sections 208-228 (Club Level). Parking for E-Day on G-Day is free and available on a first-come, first-served basis. Suggested parking areas include: South Campus Deck (S11), Carlton Street Deck (S15) and Performing Arts Center Deck (E20). Other options include surface lots at the Driftmier Engineering Center (S16 and S17) and lots along Green Street behind the College of Education (S07 and S08). If you have additional parking questions, please contact Parking Services at 706‑542‑7275.